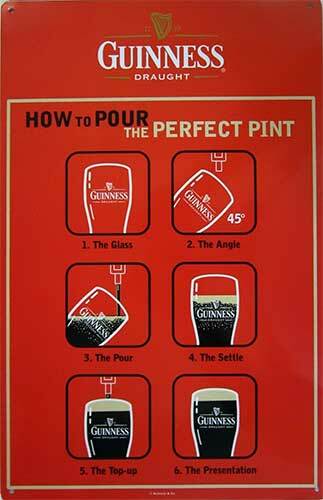 This Guinness bar sign features the instructions on How to Pour the Perfect Pint. This metal Guinness pub sign measures 11 1/5" wide x 17 1/2” tall and it would be a welcome decoration to any Irish bar. It is just one of the many Irish pub signs that are available at The Irish Gift House.